Welcome to the Binary Legends Download Page. The first Demo for the soon(er or later) to come full game of Indiana Jones and the Seven Cities of Gold! Please note this release is dated 19/12/2010 so it is not representative of the current state of the game any more. But of course you can still have fun with it! Thanks to Paolo Vaselli for the translation. 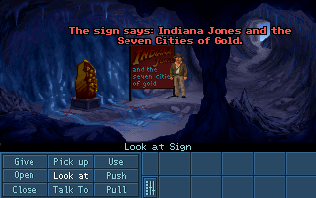 Indiana Jones and the 7 Cities of Gold - Demo V1.2.1.1 is Open Source. You can download the AGS source files to educate yourself and learn about coding in AGS and especially in a Lucas Arts style or to help us with bughunting and coding at all. 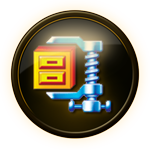 Download the .zip archive of the sourcefiles of Indiana Jones and the 7 Cities of Gold Demo V1.2.1.1 here. Read about the Creative Commons Attribution 3.0 Unported Licence in the readme.txt file in the archive. This Mirror Module allows you to create small mirrors in your game very quickly. you can choose the opacity of the mirror: 0.0 means it reflects perfectly. 1.0 means it doesn't reflect anything. Custom-shaped mirrors: just pick a sprite as a mask and your mirror can have any shape. Attenuation: when the player moves away from the mirror, his reflection becomes less and less visible. See the demo game and header of the script. 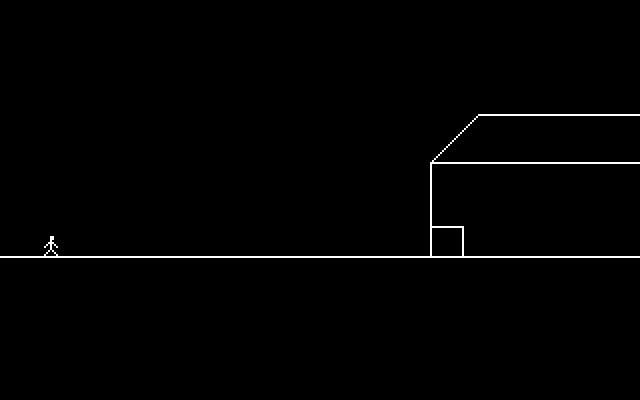 It's as simple as possible: choose an object as the mirror, another object as its symmetry center, and a region to trigger it on or off when the player walks on it. [version 1.x only] [It's quite slow. It's meant for small mirrors. I'd say no more than 200x100 pixels reflecting simultaneously. [version 1.x only] There are tiny rendering bugs (sometimes the mirrored image is late one frame, or sometimes it's not aligned properly -- but the player won't really notice). Those will be fixed in next version. It only reflects the player character. It doesn't reflect any object or animated background or anything else. But it's easy to tweak the module and make it reflect one or several NPCs. 31 july 2014 : uploaded version 2.0 which drops the whole per-pixel thing and uses standard AGS characters as the reflection. Download AGS Mirror Module V2.0. Download AGS Mirror Module V1.1 (OLD! ... 11/07/2013). Still as part of our development effort for Indiana Jones and the Seven Cities of Gold, we're releasing this module based on Scavenger's prototype. We had to change a few things to make it more flexible and to work around the alpha channel bugs in GUI backgrounds (which should be fixed in AGS 3.3+, hopefully). Remember in the Indiana Jones movies? 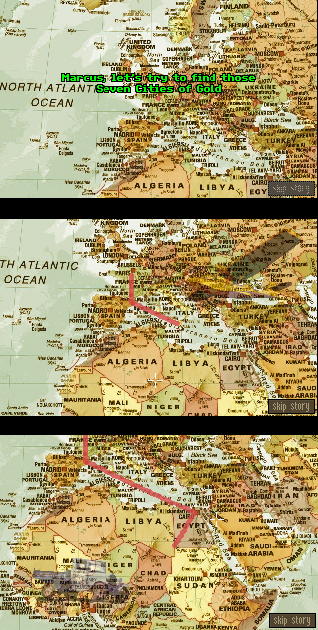 Every time he travels, there's a close-up on a (scrolling) map, and a red line showing where he's travelling. Optionally, his vehicle is shown on top of the scene, with transparency. This module does exactly that! Try out the demo to check for yourself. 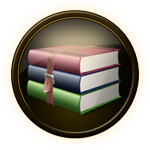 Read the manual included with the module. In a nutshell: create a room (with the map as the background), add one object and 2 dedicated gui's (to fit the module's inner architecture) and call the few functions to initialize stuff (see the manual). Then, just queue up some waypoints and the red line will travel there. 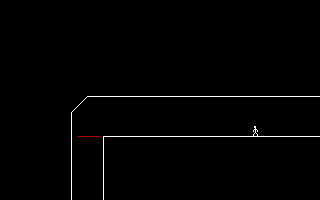 In the room , manually draw some regions, and when the red line goes over that region, then the corresponding vehicle overlay is shown (e.g. a plane when Indy travels over the sea). Download AGS Indy Styled Travel Map Module V1.0. A Binary Legends Retro Release for the Amiga in 2017! Alfredo originally debuted in Alfredo's Lost Cause by Matthew Heeschen. 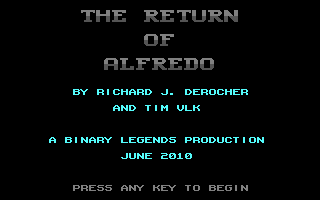 This first Alfredo adventure was published in 1985 on Softdisk for the Apple II. Mike Nuzzo would go on to create several more Alfredo adventures / animations that would also be published on the Softdisk magazine. Back in the year 2000, I programmed two original Alfredo animations for the Commodore 64 - The Return of Alfredo and Alfredo's Perilous Pitfall. They were both published on Loadstar which was still being published at the time. This project was started back in 2012. 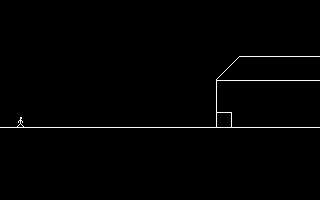 I wanted to learn AMOS and I figured that this would be a fun little project for my first AMOS program. This was something that I would pick up once in awhile and do some coding on and then put away for months� But now I finally got around to wrapping it up. When I coded Alfredo's Perilous Pitfall, I tried to imitate the style of the original Alfredo adventures, so it has VERY basic 8-bit vector style graphics. Download ALFREDO'S PERILOUS PITFALL (AMIGA VERSION). A Binary Legends Retro Release for the Commodore 64 in 2015! 2) Use a joystick in Port 2. 3) Use the cursor keys to move and use the space or return keys to click. In order to run The Marlo Files, you will need to use a Commodore 64 emulator. We recommend VICE and Emu64. A Binary Legends Retro Release for the Commodore 64 in 2010! 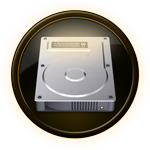 Alfredo the lovable stickman was once the star of the Big Blue Disk, Softdisk and Loadstar disk magazines in the 80's. 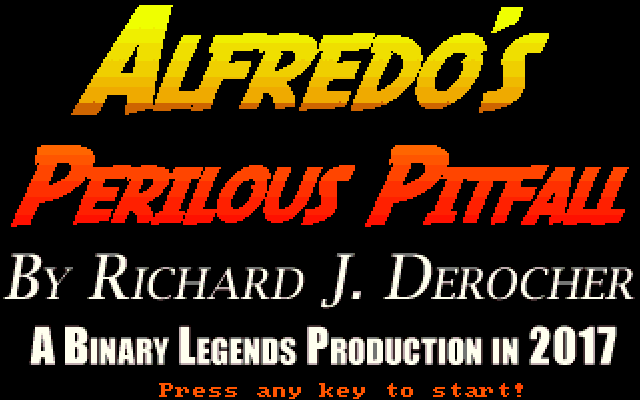 The Alfredo adventures were non-interactive computer �cartoons�. Today they would be called demos, but the term was not in use at the time. Now in 2010, Alfredo returns in two new Alfredo adventures/cartoons that I created. Back when I did work for Loadstar, I made these two Alfredo's for Loadstar. Both were published on Loadstar in 2000. Since Loadstar ceased putting out new issues in 2008, I decided to update them and release them for the web. The disk contains the Return of Alfredo, and Alfredo's Perilous Pitfall. Download The new adventures of Alfredo. In order to run The New Adventures of Alfredo, you will need to use a Commodore 64 emulator. We recommend VICE and Emu64.